I’m not sure about you but my personal inbox is a mess. Between online shopping and random subscriptions, I spend more time deleting unwanted emails than reading good ones. Last Monday morning I had so many from the weekend that I had to bite the bullet and spend the time unsubscribing. Trust me, do it. My savings account will benefit (I get it Express, you always have an amazing sale) and it will make the time to open the emails I actually want to. Now that I have quality over quantity I want to share some of my favorites. Below is my must subscribe email list. This website has everything and anything that locals need to know. Subway updates, events around town and anything news worthy affecting NYC. Their sarcastic reporting and sometimes blatant hatred of certain topics makes it feel like it’s actually New Yorkers writing for New Yorkers. 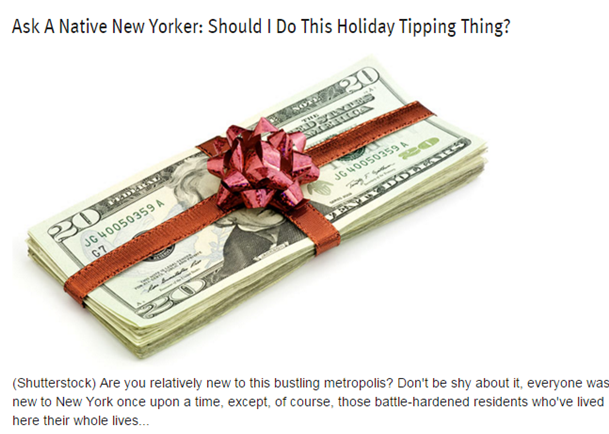 Look out for my favorite column Ask a Native New Yorker. I’m a creature of habit. I feel like the biggest downside of that is that I never fully take advantage of living in the city. Same bar, same restaurant in the same neighborhood. Goldstar helps by offering the best deals on show tickets. It features mostly plays but will also have sporting events or parties. A New York exclusive. This website will send you a weekly email informing you of any outdoor street fairs, concert, sometimes even fireworks. In the spring and summer this email is one of my favorites. There is nothing I love more on a summer weekend is walking through a street fair. Except for maybe brunch, which brings me to . . .
Every now and then this website pops an email into your inbox informing you of a new bar or restaurant that you must go to. I usually stock pile them until I need inspiration on a night out destination. The skint means being broke in British slang. This daily email lets you know all the free or cheap events going on around town either same day or a couple days in advance. Very helpful for me since most of the time I spend way too much money on fun and need all the cheap I can get. PS- If you were wondering where “bite the bullet” comes from according to wikipedia . . .